Bandwidth. Fundamentally, you should choose a model with a maximum frequency that is five times higher than that of the signals you need to measure. This will ensure that every waveform it represents is accurate. Though high-bandwidth models are costly, they will ensure the quality of your work. Sampling Mode. Oscilloscopes generally come with two different sampling modes, which are real-time and equivalent time. When assessing an oscilloscope Sydney has today, make sure that you already know which mode is required for your application. While real-time sampling (RTS) is ideal for single-shot, varying, and transient signals, equivalent-time sampling (ETS) is good for repetitive signals. Depth of Memory. Though memory depth is found to be the least understood aspect of this instrument, you should remember that it is one of the most important. Technically, this feature determines how long the instrument can capture a signal for before its memory gets full. Also, it has a direct correlation with the sampling mode. Number of Channels. In this modern world where a lot of things are digital, you might want to pass up on traditional oscilloscopes only having two or four channels and, instead, go for those having more—16 perhaps—to be able to view all signals of interest. With them, you will not need a combined logic analyzer or special software to isolate activities. Trigger Function. This feature allows you to synchronise the horizontal sweep of a certain signal at the correct point, which is essential to characterise it clearly. Also, it lets you capture and stabilise certain waveforms. 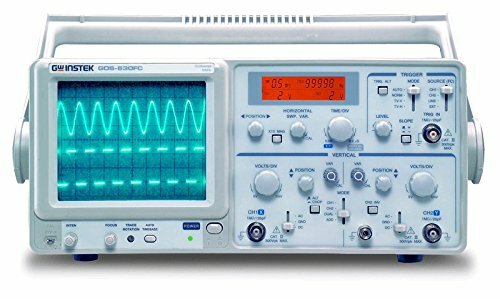 So, when choosing an oscilloscope in Sydney, you should base your decision on the type of signals you are investigating. While most oscilloscopes basically have similar trigger options, they do differ in terms of advanced trigger functions. Resolution. Typically, digital oscilloscopes have analogue-to-digital converters (ADCs) that return certain numbers of bits, known as resolution. To be able to accurately measure dynamic signals, which contain both small and large voltage components, it is best to choose a model with high resolution. Ease of Use. It is also good to choose a model that is intuitive and user-friendly. While you would prefer having one with several capabilities and features, make sure you are not compromising on usability. Keep in mind that most manufacturers would not specify how easy it is to use their oscilloscopes, so you will have to assess them for yourself. By looking into the most important features and functions that modern oscilloscopes have today, you should select a model that will perfectly suit your requirements. To find oscilloscope Sydney has to offer a trusted brand, you can visit www.rapid-tech.com.au. for more details.